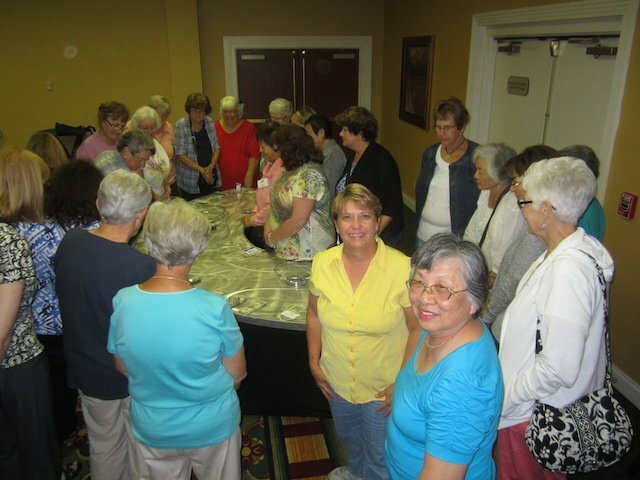 The main purpose of our visit to Wisconsin was to see Quilt Expo in Madison, a joint production of Wisconsin Public Television and Nancy Zeiman of Nancy’s Notions and Sewing with Nancy on PBS. 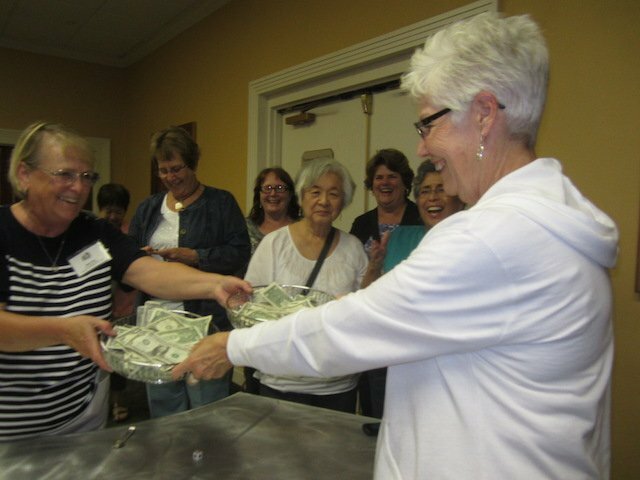 The show had 18,000 visitors over the weekend, and featured 295 quilts, with $12,000 in prizes plus a number of special exhibits. One special exhibit was a quilted Yurt presented by the Wisconsin Museum of Quilts and Fiber Arts. Additionally, there were almost 200 vendors to wander through. We had a full day there, and we used all of it to see and do everything. 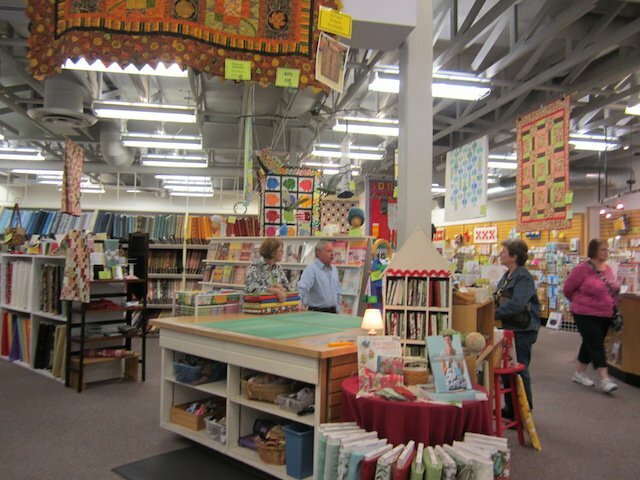 Quilt Expo is held every year during the first weekend in September. More information can be found at www.wiquiltexpo.com. We started our trip in Milwaukee, where we stayed for two nights. 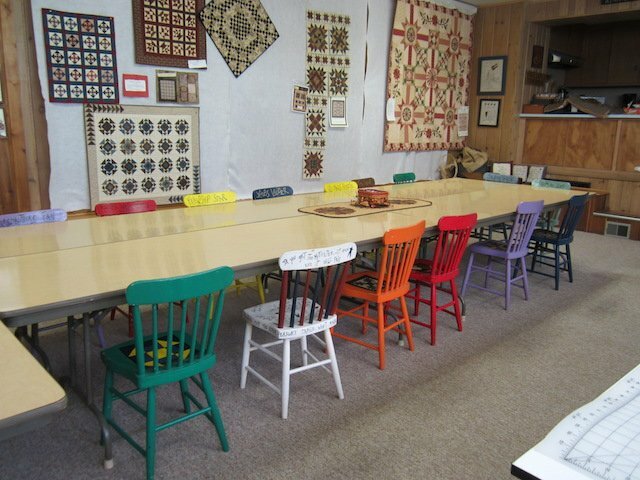 Our first stop was the Wisconsin Museum of Quilts and Fiber Arts in Cedarburg. 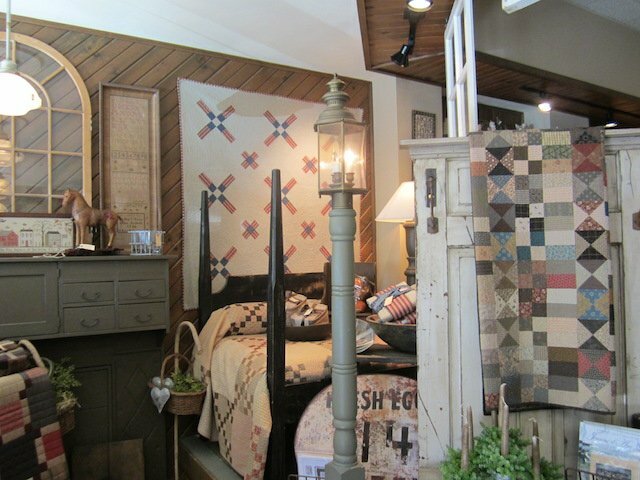 The quilt display space is in an old converted barn which still had the barn walls on which to display the work. The current exhibit is “Wisconsin State of the Art” which features a broad array of fiber art media from Wisconsin fiber artists. Wisconsin is known for its beer, but we didn’t have time to visit a brewery so we did the next best thing and visited the former home of Captain Frederick Pabst, who started the Pabst Beer Company. 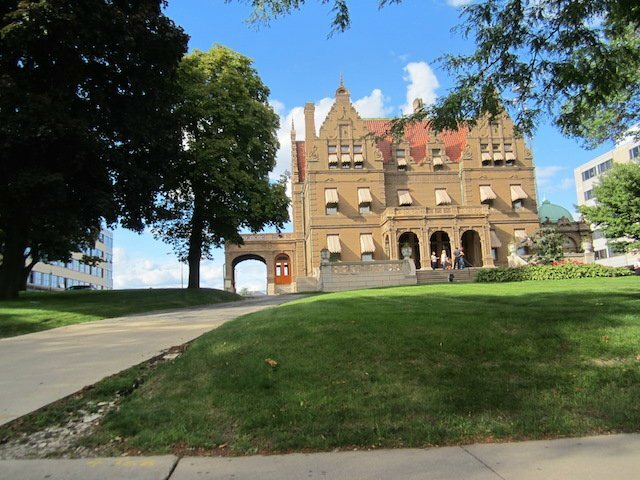 It is a wonderful old mansion now on the campus of Marquette University in Milwaukee. 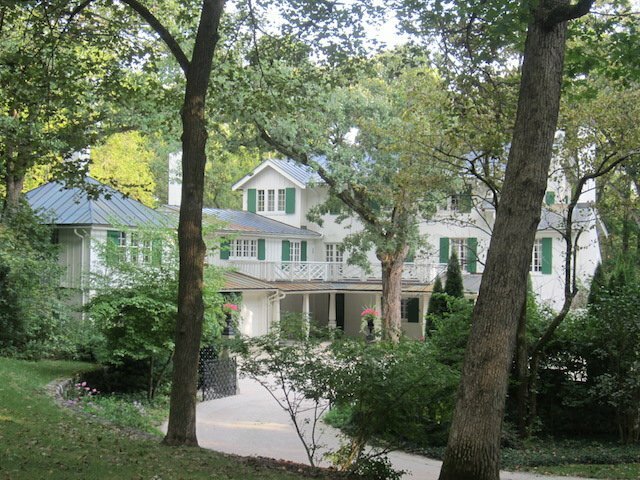 Ten Chimneys was the summer home of theater legends Alfred Lunt and Lynne Fontanne. Just outside Milwaukee in the little town of Genesee Depot, it is now a beautiful museum and home for theater arts. We were fortunate enough to tour the house and grounds. It is open for tours from May to December, and is really worth the time. 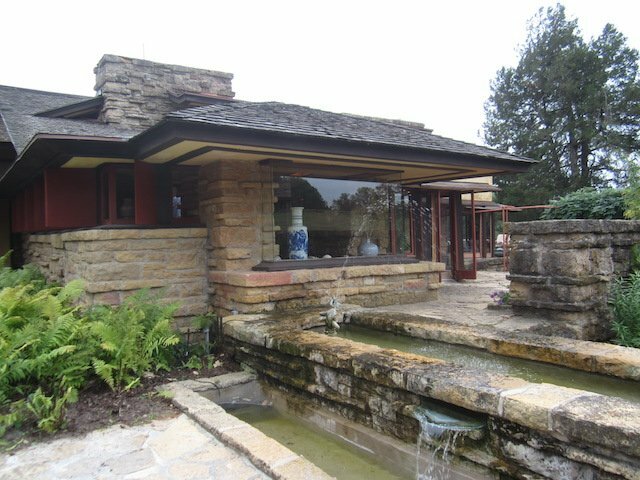 We then moved to Madison which was our base for four nights and started our sightseeing there by visiting Taliesin, just outside Spring Green,WI. 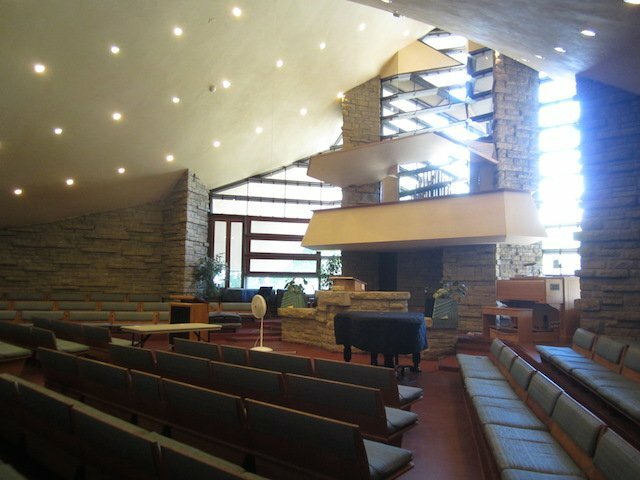 It was designed and built by Frank Lloyd Wright. 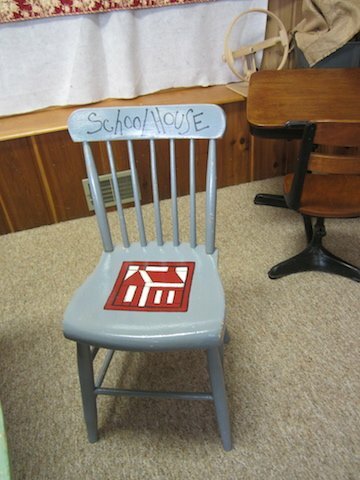 He lived here for a number of years with his family, using this home to try out many of his ideas about how a home should function. He also ran a school of architecture close by which is still in operation today. 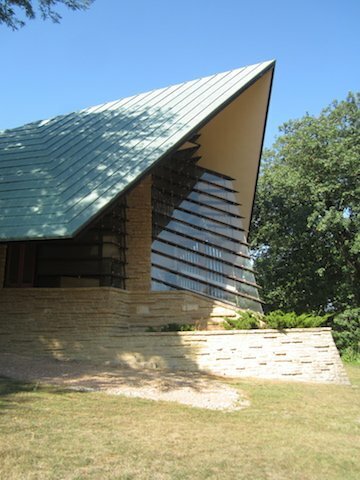 We toured the home and surrounding grounds, and had lunch in the Taliesin visitor’s center. 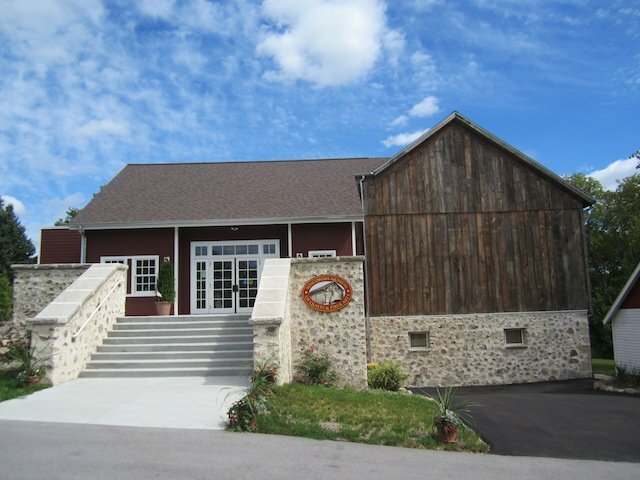 Here we are at the Cedar Grove Cheese Factory. 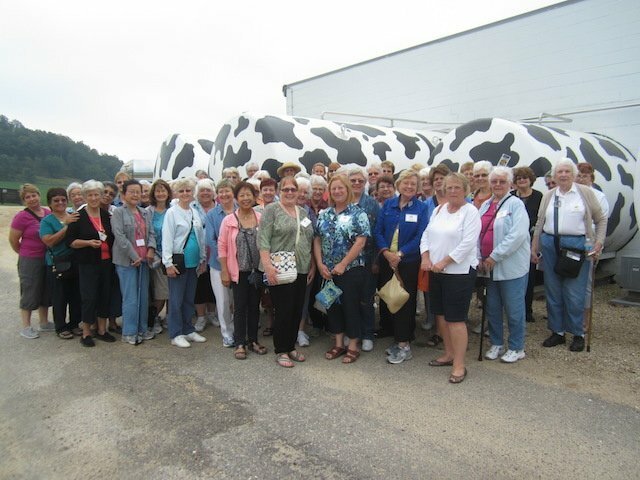 Those are not huge cows in the background, but milk holding tanks for the cheese factory. It was very interesting to see how this cheese is made and many of us brought home samples to share. The famous Wisconsin Dells are sandstone cliffs along the Wisconsin River that have been carved out by water and time. 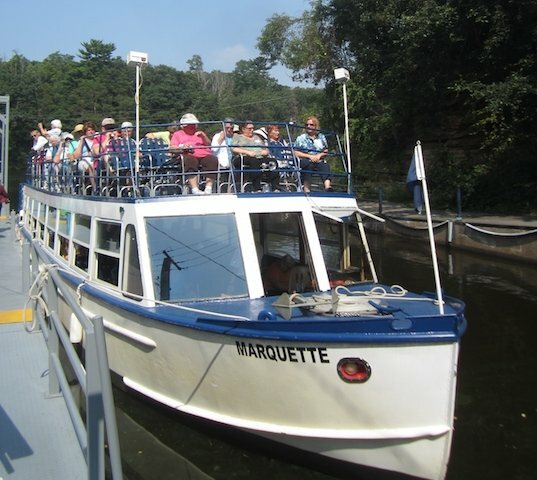 We had a lovely two-hour guided boat tour of the Dells with a box lunch on the boat, enjoying the gorgeous sunshine. We even learned about Frozen Custard, which is just making its appearance here in Southern California, but is wildly popular in Wisconsin. It looks and is served like ice cream, but it has egg yolks and heavy cream or sweetened condensed milk in it to make it really wonderful and smooth. We stopped at the Culvers Restaurant in Waunakee to sample their version and it was delicious to say the least. They served all 51 of us in about 20 minutes! They really hustled, with smiles on their faces. We had a guided tour of Madison and its many points of interest including the University of Wisconsin, the Unitarian Meeting House designed by Frank Lloyd Wright, and Lakes Mendota and Menona. We had the opportunity to walk through the Wisconsin State Capital shown here in the distance towering over Madison. 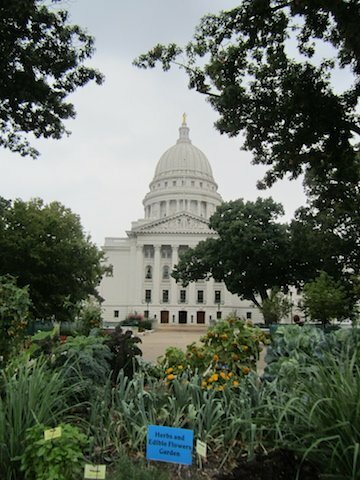 By statute, no building in Madison can be taller than the capital building. Our farewell dinner was at the University Club and was delicious! 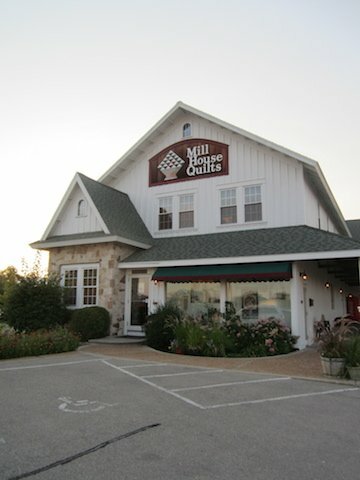 Wisconsin has more than its share of great quilt shops, and we visited five, all of which are worth another trip so if you are in the area, stop in. Our suitcases were a lot heaver when we left because of it too!